After eight years of litigation, I recently settled a case, In Re: Betty J. Fiedler, Nos. 2264 MDA 2013 and 35 MDA 2014 (Pa. Super. ), involving gifting by an agent under a durable power of attorney. The case is illustrative of how matters of gifting should be handled by both principals and agents. In this particular case the principal gave her daughter the authority to make gifts up to the IRS annual exclusion amount, which at the time was $12,000, to persons who had previously received gifts from the principal or who were reasonably believed by the agent to be the natural objects of the principal’s bounty. The agent ran afoul of the terms of the power attorney by making gifts in excess of $360,000 to her son and to herself based on the alleged verbal direction of her mother. The Pennsylvania Superior Court ruled in a 9-0 decision that the written limitations in a power of attorney cannot be overridden by the verbal command of the principal, and remanded the case to the Lancaster County, Pennsylvania Orphans’ Court for implementation of its Order and further proceedings for issues that had not yet been addressed. 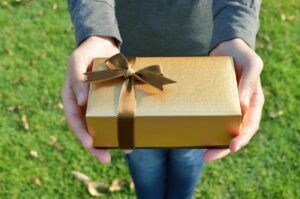 The Superior Court definitively ruled that if the principal wishes to make a gift exceeding the stated limitations in the power of attorney, he or she must make the gift personally. The agent is not allowed to make the gift. In the same decision, the Superior Court also ruled that an agent can make a gift within the annual exclusion amount regardless of whether the principal verbally approves the gift being made if the gift otherwise meets the terms of the power of attorney document. In this particular case, while the Superior Court did not find that there had been any prior gifting for some of the gift recipients, it determined that the agent could reasonably conclude that non-blood related relatives of the principal (i.e., daughter-in-law and step children) were natural objects of the principal’s bounty. In my view, the Superior Court obviously got its decision right regarding verbally amending a power of attorney. A contrary decision would allow agents to engage in all sorts of self-dealing against the wishes and interests of the principal and claim, as was done in this case, after the principal died that the principal said it could be done. On the other hand, the Superior Court’s decision to allow gifting within the annual exclusion amount based on the language in power of attorney that the agent could determine whether the gift recipient was a natural object of the principal’s bounty is very problematic. Indeed, it is almost impossible to have a gift set aside under this circumstance. For this reason, I have always been careful in drafting power of attorney documents. As a rule I recommend gifting to be allowed only by spouses to persons identified specifically as beneficiaries under the principal’s will (i.e., in the Fiedler case gifts were made in part to persons who were not beneficiaries under the principal’s will). Further, I do not recommend any gifting at all by non-spouse agents. If that had been done in the aforementioned case, none of the gifts would have been permitted. For more information regarding this case or to get guidance on powers of attorney and other estate planning documents please feel free to contact me, Attorney Steven R. Blair, at (717)390-2030. I have been a Lancaster County, Pennsylvania lawyer for over 25 years.